The European Patent Office (EPO) and the Korean Intellectual Property Office (KIPO) have decided to review their co-operation in the field of patents in order to better support innovation in both regions. At their annual bilateral meeting today in Seoul, the heads of the two offices agreed on a number of new co-operation projects aimed at increasing efficiency in the patent granting process through co-ordination and training in classification practices, and improved access to patent documentation. They also agreed to provide improved patent information to users, for instance, by integrating legal status information relating to published Korean patent applications, granted patents and utility models into the EPO's Worldwide Legal Status Database and, conversely, by providing KIPO with legal status information on European patents and patent applications. "Co-operation between the EPO and KIPO is helping us to provide better services to industry in both regions," said EPO President Benoît Battistelli. "I am pleased today to be able to put the seal on a framework, which will put this co-operation on a new footing. Improving tools and simplifying procedures through our close collaboration will benefit users of the patent system, and thus contribute to supporting innovation, competitiveness and economic growth in Korea and across Europe," he said. "The status of IPR in Korea has changed significantly and it is now going mainstream in the Korean economy with KIPO at its heart," said KIPO Commissioner Kim Youngmin. 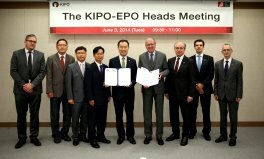 "I believe the Work Plan jointly signed with the EPO and the Joint High-Level Conference on the EU Unitary Patent will support Korean enterprises that wish to enter the European market, and KIPO will continue to play a leading role in the global IPR community by forging more bilateral and multilateral cooperation such as IP5," he added. In the joint work plan signed today, the EPO and KIPO have set new objectives of co-operation, particularly in the areas of automation, search, classification and patent documentation. Furthermore, under a new Memorandum of Understanding the two offices agreed to strengthen their joint activities in the Cooperative Patent Classification (CPC). These aim at facilitating the sharing of expertise in the CPC so that KIPO can classify its invention patent and utility model documents using the CPC in their pilot projects. The CPC is a highly-refined classification system for patent documents, which entered into force at the EPO and at the United States Patent and Trademark Office (USPTO) on 1 January 2013. It is a powerful tool, which makes it possible to conduct more efficient and targeted patent searches, for patent offices, but also for anyone using patent information. More than a dozen IP offices are already classifying in the CPC, with many more using it for search. Previous joint projects between the EPO and KIPO are already yielding concrete results for users. One agreement waived the requirement for Korean applicants to supply a copy of the search results when taking their application from Korea to the EPO. Another agreement on the exchange of patent data led last year to the launch of the Korean-English component of Patent Translate, the EPO's free machine translation service, which gives companies and inventors access to a huge amount of information on the latest technologies in their own language. On the occasion of this year's meeting, the EPO and KIPO have jointly organised a conference on the Unitary Patent in Seoul. 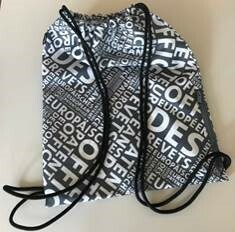 The unitary patent will combine the advantages of a well-established quality granting system with the benefits of a centralised administration of these patents at the EPO, and a truly supranational jurisdiction by the unified patent court. It is expected to provide an effective administration of the patent procedure, together with lower costs for applicants. For Korean users, too, the new patent will offer an interesting alternative to existing patent protection schemes. Korean companies count among the largest users of the European patent system, with Samsung and LG ranking first and fourth respectively in the EPO's list of top applicants in 2013. EPO-KIPO relations are not only mutually beneficial to the two patent offices, but also fundamental to the development of an effective patent system at the global level that meets the needs of innovating companies. The EPO and KIPO are both amongst the five largest IP offices in the world, which also includes the patent offices of China, Japan and the US, co-operating under the so-called "IP5". The IP5 offices handle about 80% of all patent filings in the world. The annual IP5 heads of office meeting takes place later this week in Busan, Korea.